Oliphant: Sicily, Italy, 12th century. Ivory, carved. Mount: England, 17th-century silver, moulded and engraved. Image copyright ©The Aga Khan Museum. 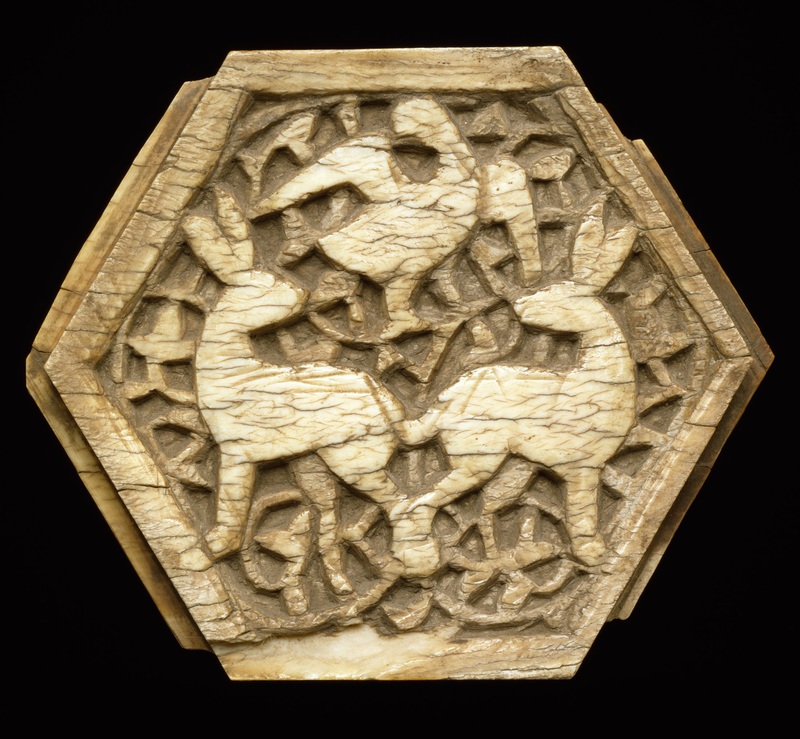 Plaque, Cairo, Egypt, 11th century. Ivory, carved. Victoria and Albert Museum, London. Given by G.D. Hornblower. Image copyright ©Victoria and Albert Museum, London. 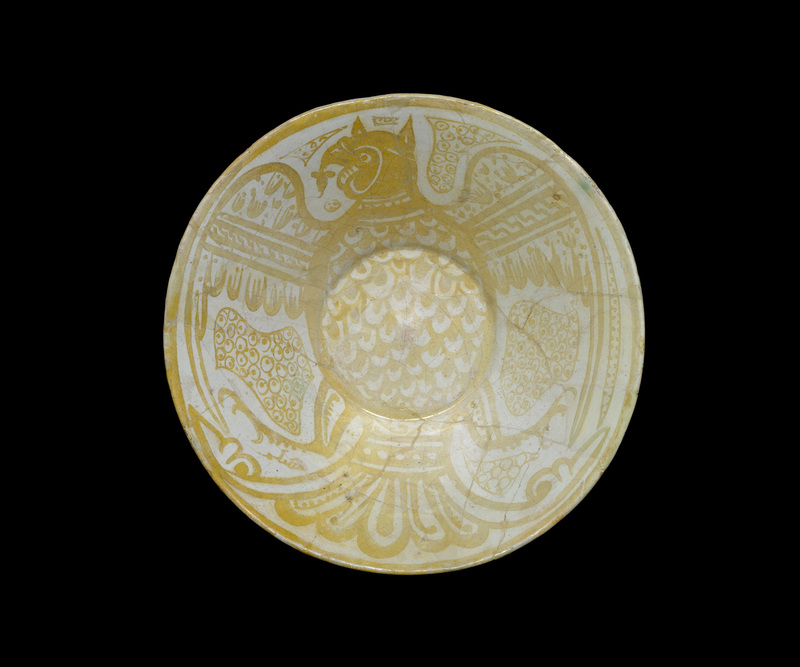 Bowl, Probably Cairo, Egypt, 1050-1100, fritware, lustre-painted overglaze. Victoria and Albert Museum, London. Purchased with the assistance of the Art Fund and the Bryan Bequest. Tiraz Textile, Egypt, 11th – 12th century. Linen. The Aga Khan Museum. The foremost Islamic power of their time, the Fatimids maintained complex political and economic networks across Africa, the Mediterranean, the Red Sea and the Indian Ocean, Iraq, Iran, and India, all the way to China. “The Fatimids defined luxury objects for a millennium and fostered a flowering of the arts and architecture,” says Al-Khamis. 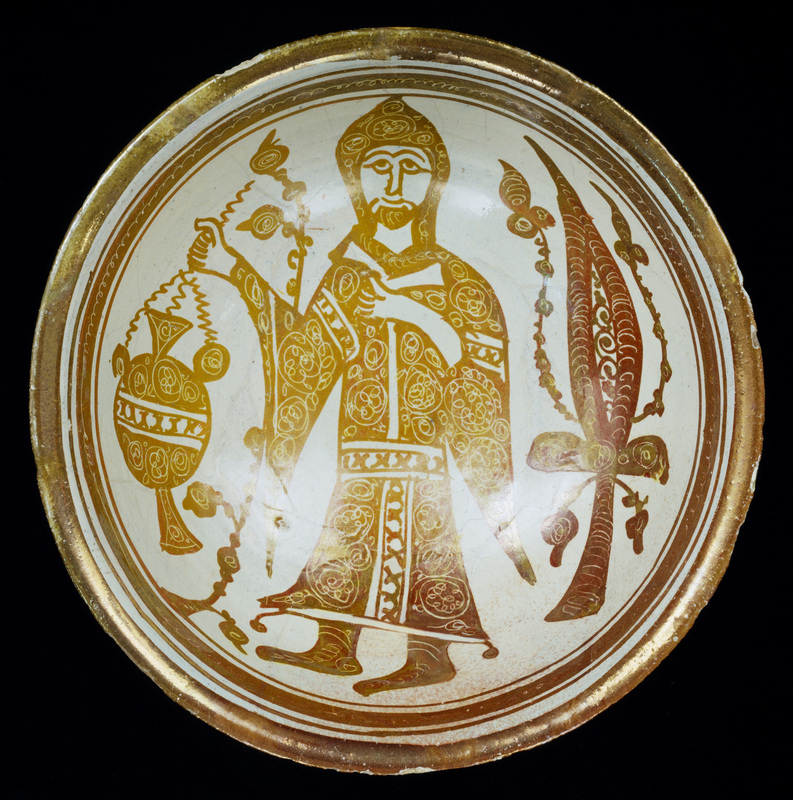 “The confluence of different styles is easily traceable on individual artifacts as well as specific types of objects such as lusterware, an expensive type of ceramic ware with metallic colours. These were decorated with uniquely expressive styles and motifs that reflected the customer’s interest, from Christian motifs to Greek animal fables, astronomical subjects, popular pastimes such as hunting, or references to official ceremonial occasions.” Among the objects on display will be monumental marble reliefs—never before shown abroad—from the Museum of Islamic Art in Cairo, and works never before seen in North America on loan from the great museums of Europe. The exhibit will also feature virtual reality immersions crafted to evoke the likeness of ancient Cairo. 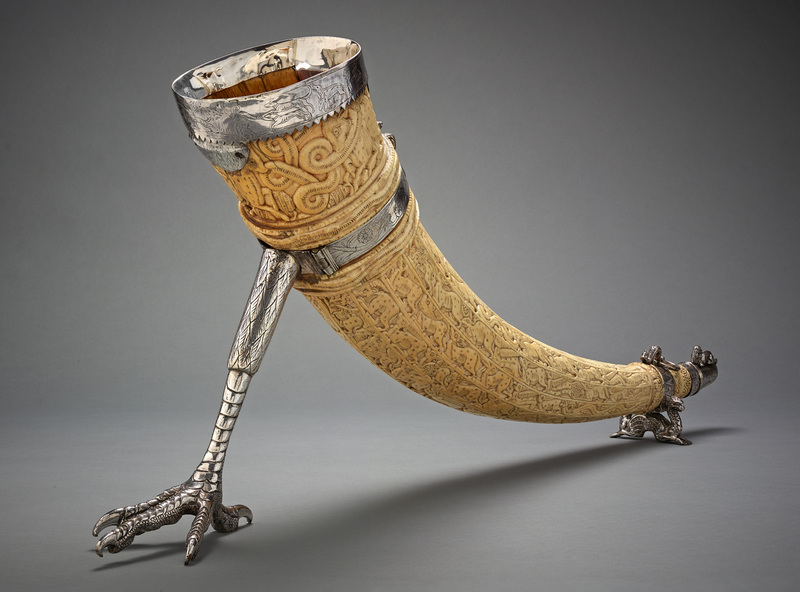 Between the 10th and the 12th centuries, the Fatimids practiced a degree of tolerance, pluralism and social inclusiveness unparalleled for its time. Now, their legacy is being honoured in Canada. The World of the Fatimids is on at the Aga Khan Museum from March 10 to July 2, 2018.